It’s taken me approximately three months to write a review for Kanye West’s latest album, 808s and Heartbreak. What has taken me so long, you ask? The logical answer is that life took over and I found very little time to dwell and write about the album. The truth of the matter is, the album perplexed me. I bought the album on Nov. 25, 2008 just as many others did, and I was excited. I listened to “Love Lockdown” just hours after West posted it on his blog and I caught his dramatic performance of the song at the end of the MTV Music Video Awards and was impressed. The darker tones, the sparse beats, the electronic touches and of course, the Auto-Tune–Kanye was going in a new direction and I was looking forward to hear it. Yet when I began listening to the album, I was left not really knowing how I felt about it. My very first thought was, `man, Kanye is mad.’ Clearly this is an album about heartbreak and West’s pain and frustrations are made palpable: “how could you be so heartless?” It was the emotional vulnerability that West made so clear and blatant that hooked me initially. It’s not often you see hip-hop artists lay out their internal dialogues out on the table, particularly regarding romantic relationships. Yet, much of what I like about West is that he is not your typical hip-hop artist. So much of his internal thought processes and emotions are laid bare – just read his blog. Sometimes he’ll stumble and say something off the wall (like calling OJ Simpson amazing in a taping of VH1′s Storytellers, though the backtracking itself was amazing) or he will say something that is shockingly (albeit sometimes humorously) accurate like saying that Bush “doesn’t care about black people.” It’s all part of his rambling, amusing and fascinating charm. 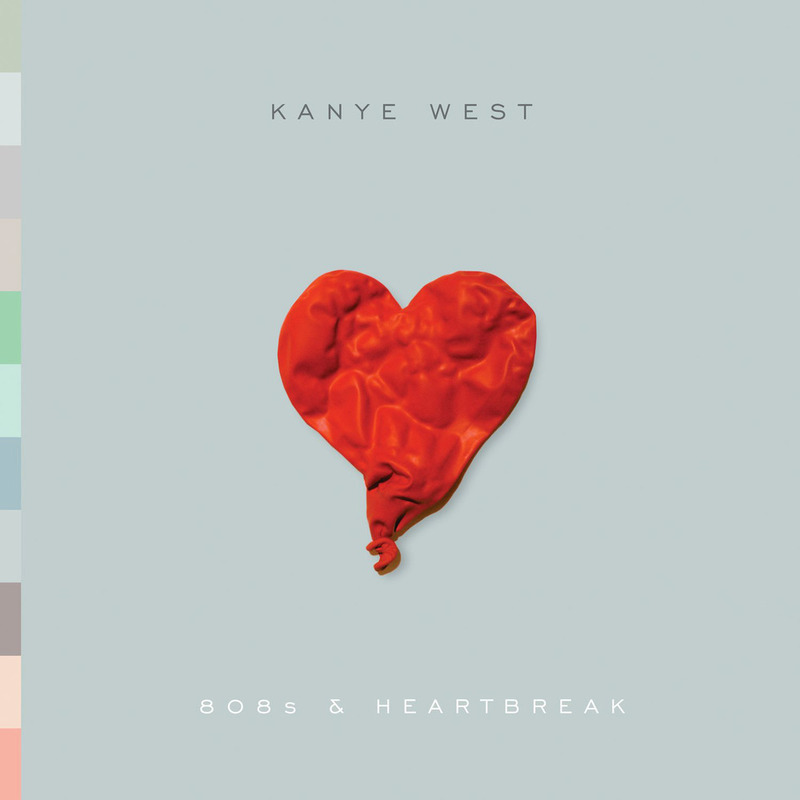 808s and Heartbreak is essentially an extension of the almost diaristic career of West. Though I appreciated his openness and new venture in the land of Auto-Tune, the album left me feeling a little cold and I put it down, and went back to listening to M. Ward. Perhaps it was the cold music and cool sheen of the album that put me off initially. However, the album just wouldn’t go away. I kept thinking about why I was put off and ultimately, I couldn’t quite put my finger on it and went back to the album and listened with new ears. The coldness I was initially put off by, I now love; considering the volatile and painful nature of the subject matter (break-up with his fiancé, the death of his mother), the sparse and sleek electronic and synth arrangements act as an excellent counter-balance. Can you really imagine “Love Lockdown” or “Heartless” any other way? The echoing keys of “Heartless” create a song fraught with tension and works in concert with West’s anger and frustrations. On the flip side, “Paranoid” and “RoboCop” use effervescent disco beats (used so well on “Flashing Lights” off of Graduation) to lift you out of the heartbreak funk, and have quickly become some of my favorite songs off of the album.